Nistec have received the Environmental Quality Standard ISO14001:2005! 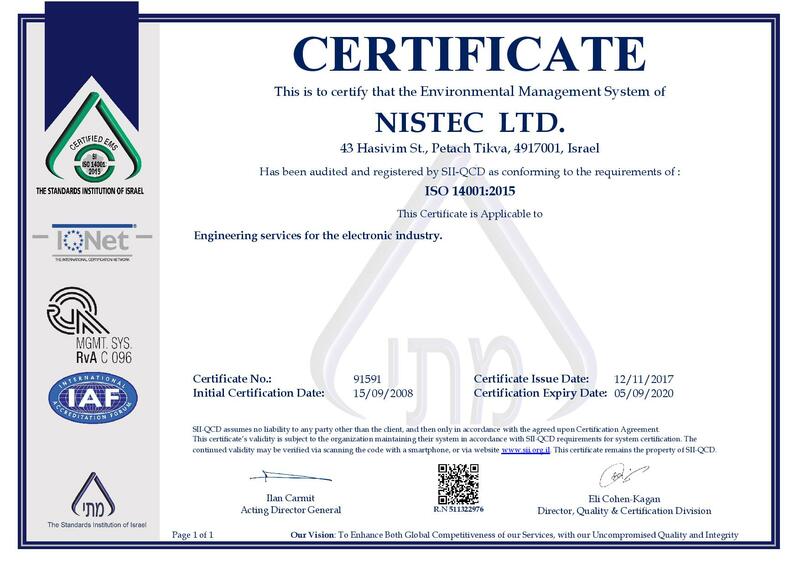 Approval by the Israel Standards Institute for our environmental management system proves the the organization is taking measures to realize its commitment to the environment, which is demonstrated by our production, service, development and maintenance actions. “We see great importance and commitment in preserving the quality of the environment” says Yitzhak Nissan, CEO of the Nistec Group. “In our factories ensure to create sustainable development while utilizing resources and promoting recycling which at present is executed for more than 90% of the factories’ waste”.